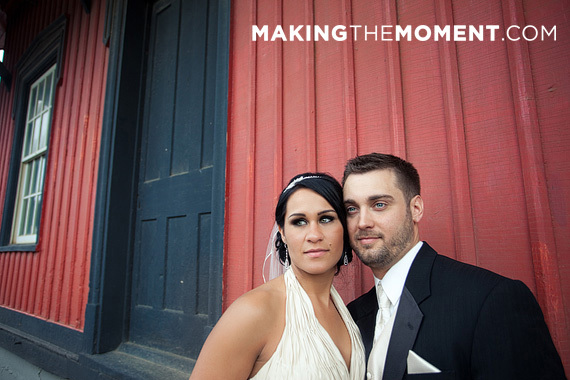 Erica and Scott are a perfect fit and their friends noticed the future possibility before they did-or so the story goes. 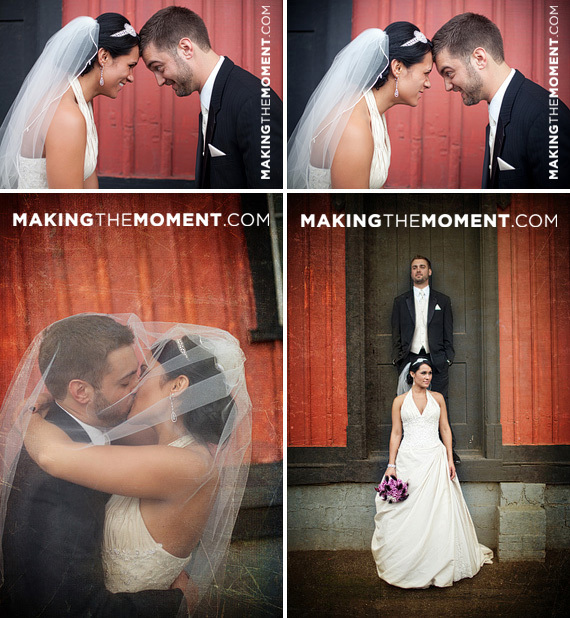 These two met at their friend’s wedding and starting talking, and well the rest, I think you know. 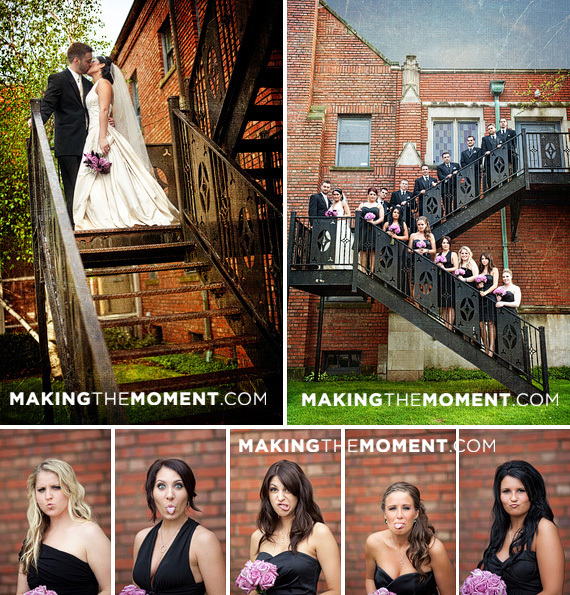 They decided to tie the knot in Mayfield, Ohio, a small little town with big character. Spring was in bloom that day and we all know that spring showers bring May flowers. But we just got the showers. 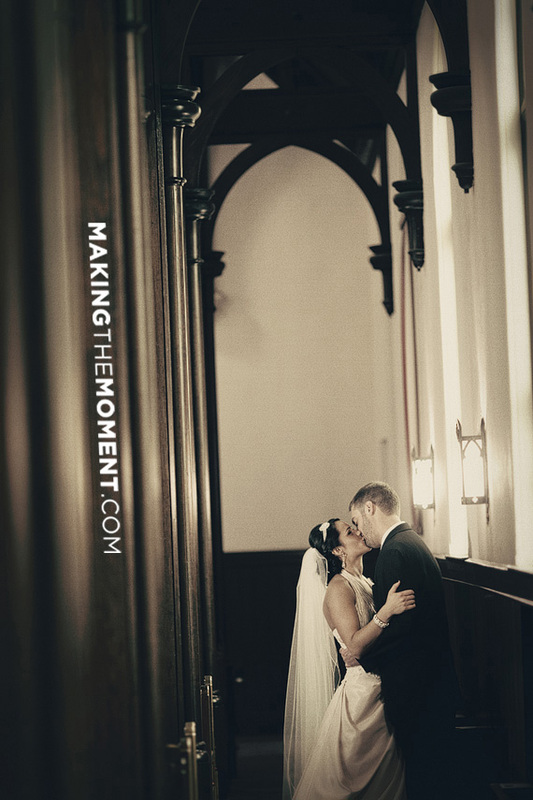 Thankfully, Erica and Scott are into great wedding photography as much as they are into each other so it didn’t dampen their day. In fact it made the photos that much better. 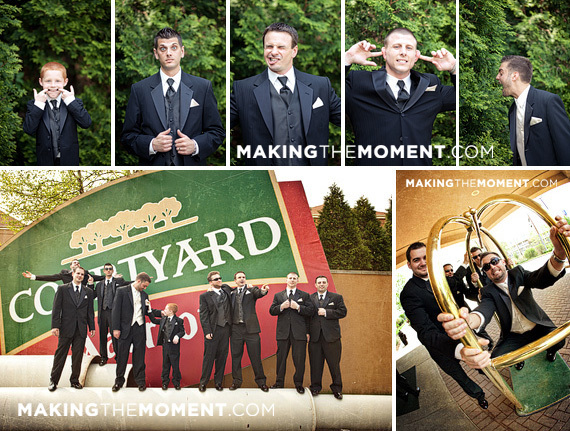 I was very surprised to find a cool area behind the Courtyard by Marriott to photograph the guys. They had recently replaced their sign and the old one was sitting on the ground on behind the hotel. 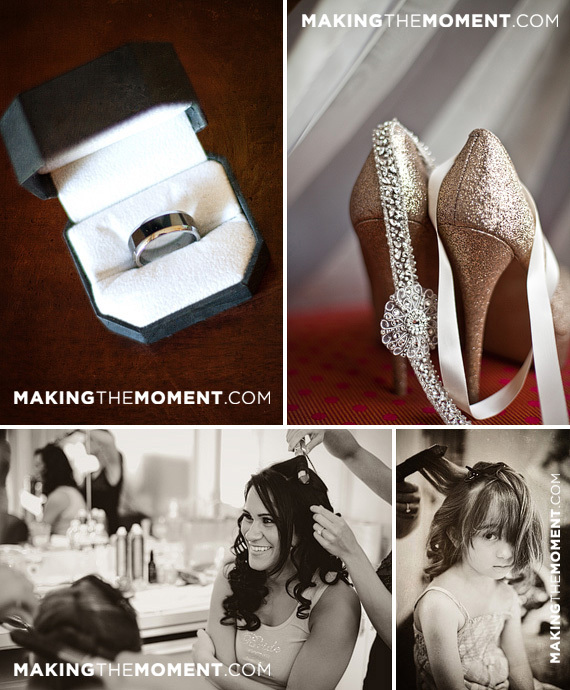 Of course I was going to use it because that is what Making the Moment is all about– being different in our approach to wedding photography. 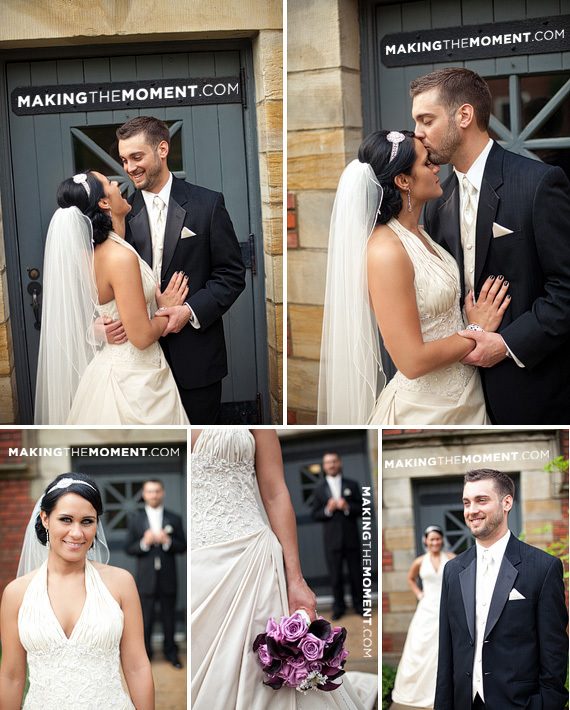 Although Erica and the girls had their hair and make-up taken care of at the hotel, they got ready at Willoughby United Methodist Church. There was a very nice sitting parlor which had a door that opened to the outside. 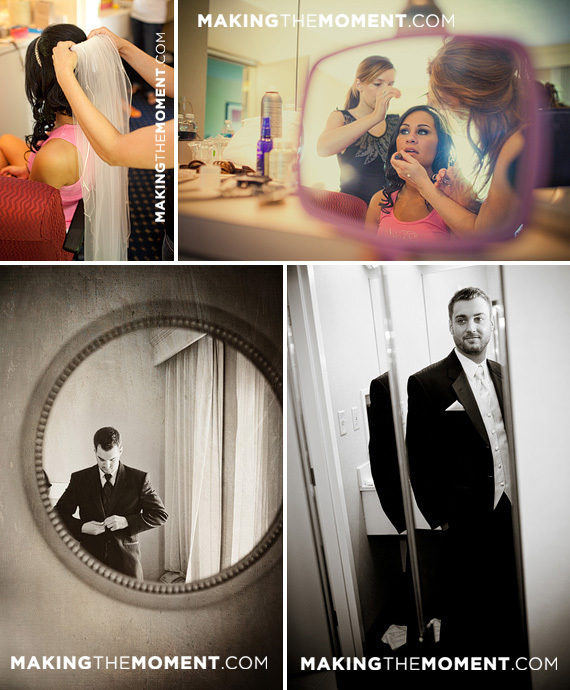 The bridesmaids used this mirror in the bathroom for one last touch-up. 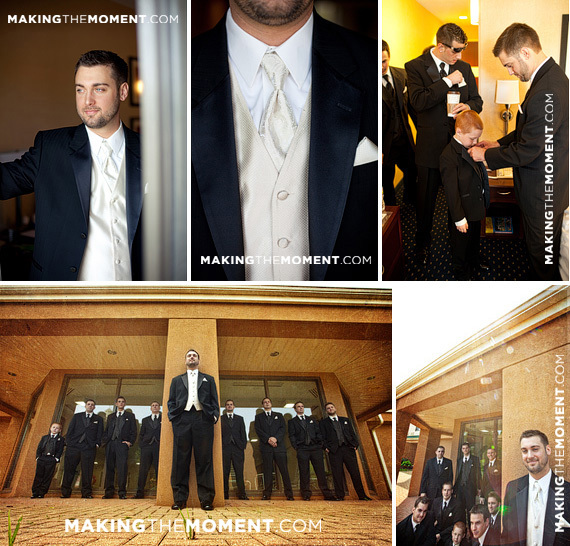 I love when great moments like this happen in a wedding day. 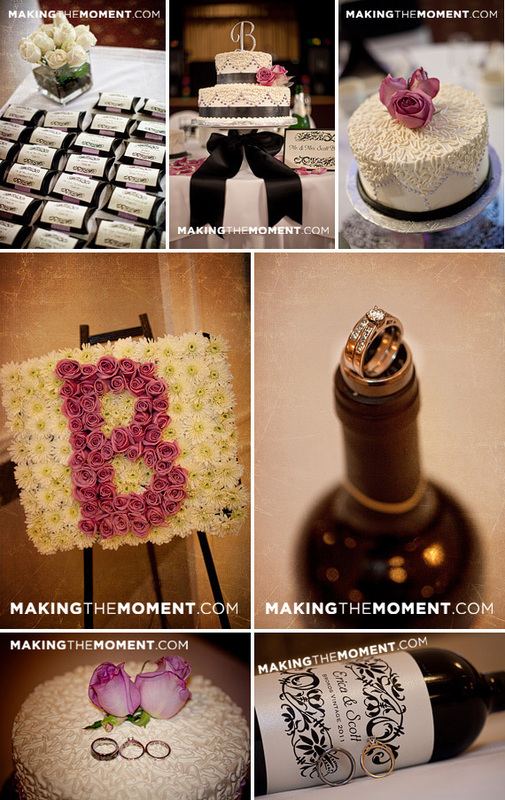 I do love photojournalism, and it is probably why I capture so many photographs on a wedding day. 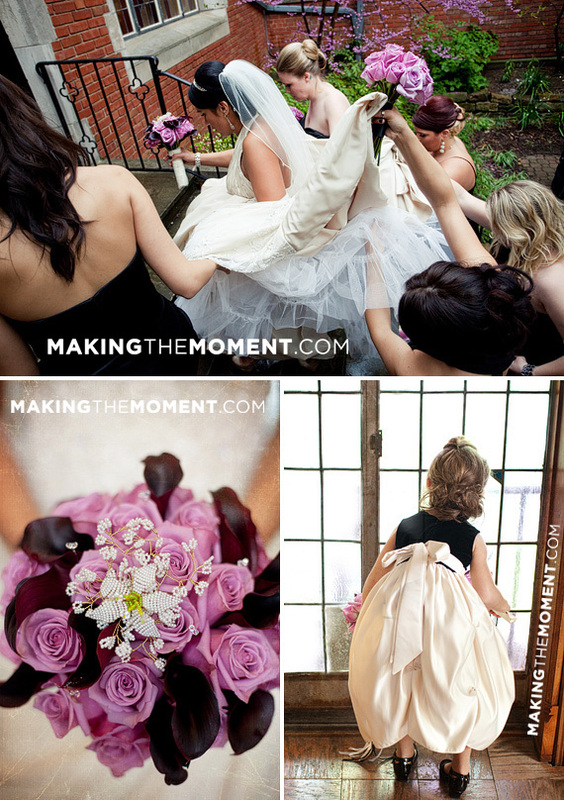 One of my favorites from Scott and Erica’s wedding is this image of her bridesmaids helping her up the stairs. 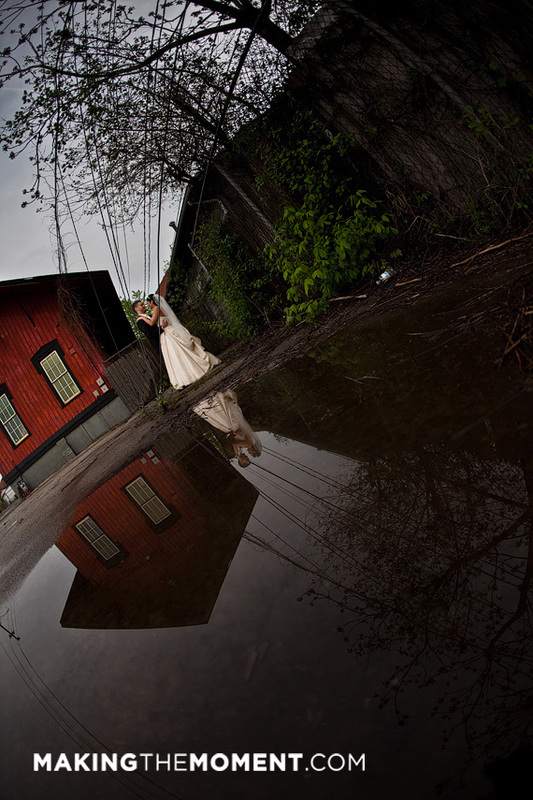 It rained so hard a few minutes before the shoot that both the courtyard and even the church basement flooded. 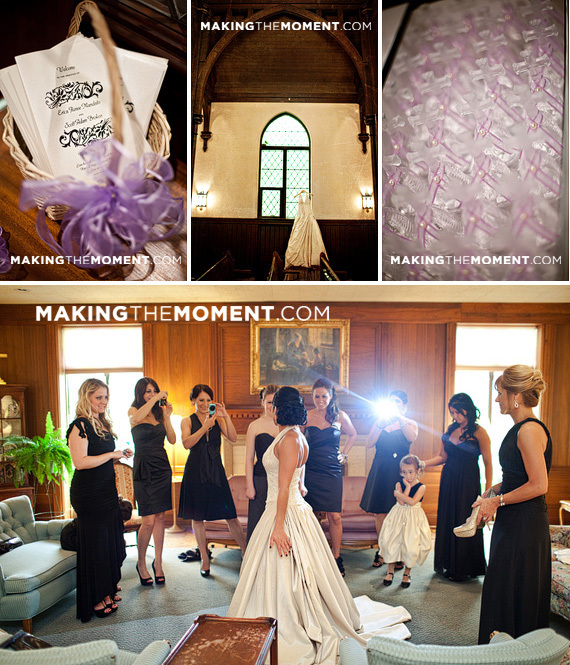 That being the case, every effort was made to protect the dress which made for such a special memory. In spite of the rain, the service was beautiful. 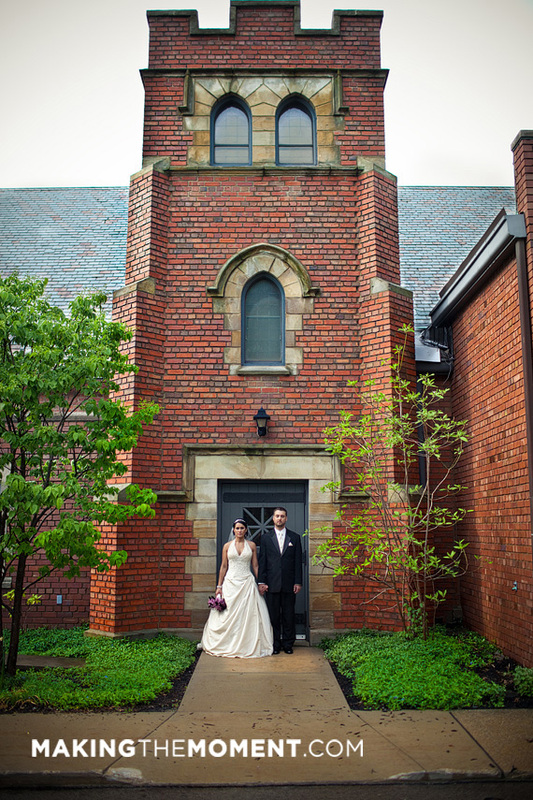 To dodge the weather, we shot some images around the church which was in the heart of downtown Willoughby. The older church lent itself well to some timeless and fun images. 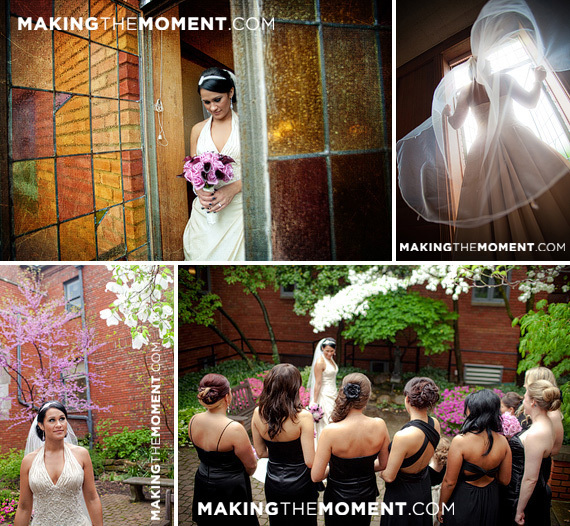 The heavy off-and-on rain finally stopped and we had a chance to shoot a very fun creative wedding photography session. I found this old train depot, that was marked as a historic sight, but buried back amongst some old warehouses. 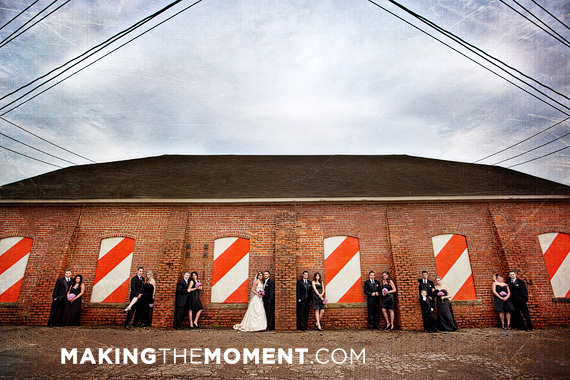 With all the red and orange it was a perfect spot for some outside the box Making the Moment style photography. The reception took place at the Croatian Lodge Party Center in Eastlake, Ohio which on the outside doesn’t look like much, but as we all know, it’s the inside that counts. 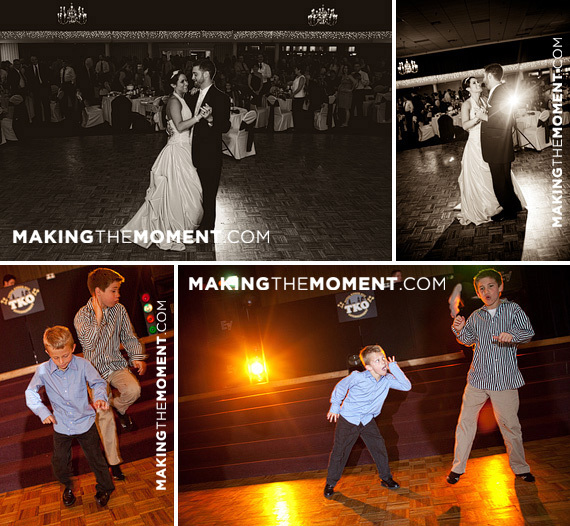 The Croatian Lodge Party Center has beautiful lighting, plenty of space for large parties, and oh yes– amazing food. Erica and Scott really added to the venue with their decorating and the unique look of individual cakes from Cakes by Nadine on each table as it’s center piece. 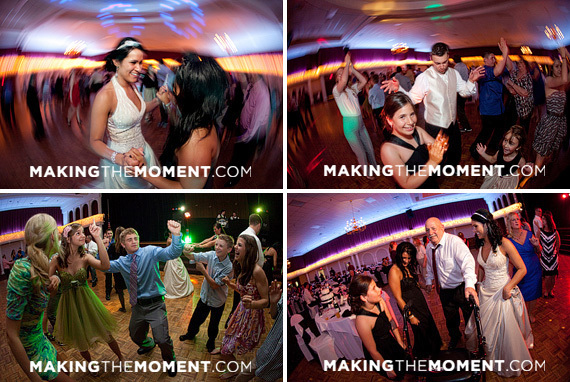 Scott and Erica took to the floor for their magical first dance, and then friends and family cut loose. We got a chance to see the next generation of dancers I will be photographing for years to come. These two boys knew all the moves and were showing it off. 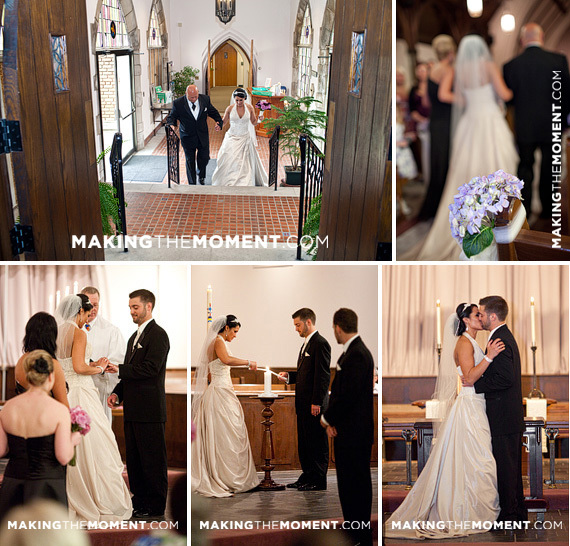 A fun day, a fun night– a great start of a fun life for Scott and Erica.